The MSE Equity Price Index extended Thursday's gains as it added a further 0.37% to 4,306.126 points on Friday. The increase was mostly driven by the upsurge in the share price of FIMBank which outweighed the declines in BOV and Plaza. Despite today’s gains, the local equity index still ended the week 0.1% lower. FIMBank plc climbed 9.8% to a near five-month high of USD0.56 level on activity of 101,648 shares. Last week, the trade finance specialist reported a net profit of USD6.04 million in the first six months of this year compared to USD4.06 million in H1 2017. In their commentary, the Directors explained that in the months ahead, the bank will continue exploiting its strong expertise and franchise to grow its business. Medserv plc also performed positively today with a gain of 9% to the €1.09 level on six deals totalling 23,120 shares. The oil and gas services company is due to publish its interim results on Monday 27 August. 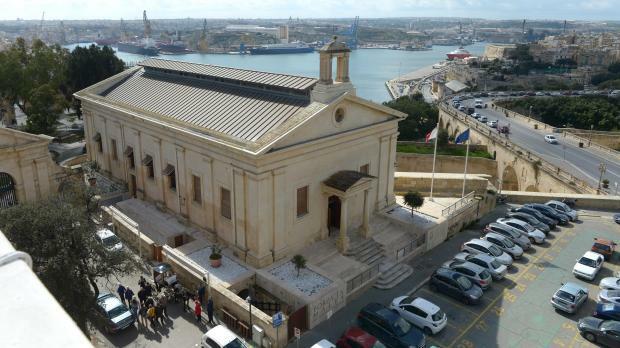 Lombard Bank Malta plc moved to a near five-month high of €2.40 (+1.7%) across 9,839 shares. Yesterday, Lombard reported a 39% jump in net profits to €3.72 million on the back of solid growth in income which outweighed the rise in costs. The Directors expressed their satisfaction with the financial performance of Lombard and said that following the transfer of a substantial amount of Lombard shares from Cyprus Popular Bank Public Co. Ltd. to the National Development and Social Fund (“NDSF”), the Bank now looks forward to the next phase during which the NDSF divests itself of the larger part of the same shares. Lombard’s postal subsidiary – MaltaPost plc – rebounded by 0.6% from its 2018 low of €1.64 to the €1.65 level albeit on just 2,628 shares. Low trading volumes also took place in five other equities all of which traded unchanged. These included Malta International Airport plc (€5.60), Malita Investments plc (€0.87), Mapfre Middlesea plc (€1.89), PG plc (€1.37) and RS2 Software plc (€1.19). Yesterday, PG announced that shareholders as at close of trading last Wednesday will be entitled to a net interim dividend being declared by the company’s Directors on 28 August. The interim dividend will be paid on 5 September. Both PG and RS2 are expected to publish their interim financial results on Tuesday 28 August. HSBC Bank Malta plc maintained the €1.80 level across 16,724 shares whilst Bank of Valletta plc drifted 1% lower back to its multi-year low of €1.50 on heightened activity totalling 219,121 shares for a market value of €0.33 million. Plaza Centres plc also lost 1% to the €1.02 level on a single deal of 6,950 shares. On the Alternative Companies List, Loqus Holdings plc shed 3.2% to the €0.092 level on trivial volumes. Today, Main Street Complex plc published the interim financial results as at 30 June 2018. The company reported a net profit of €0.14 million and also declared a net interim dividend of €0.00628 per share. The dividend will be paid on 14 September to all shareholders as at close of trading on 5 September. The RF MGS Index extended Thursday's decline by a further 0.14% to a three-week low of 1,093.415 points as credit spreads widened possibly reflecting the result of no major breakthroughs during talks held between US and China aimed at averting further escalation in the current trade war between the two largest economies in the world. Consequently, the US introduced further trade tariffs on several goods imported from China whilst China reciprocated with new levies on the same amount of goods imported from the US, including steel and cars.